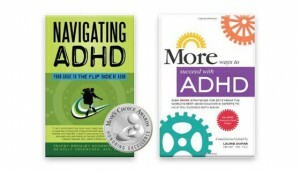 Navigating ADHD Seminars and Workshops are geared toward professionals in the fields of medicine, education and mental health as well as for families dealing with ADHD. These highly innovative and engaging programs are geared toward adult learners with the goal of equipping attendees with skills necessary for successfully managing the daily challenges of family life in relation to an ADHD diagnosis. Strategies presented are specific and created for immediate implementation and ease. Topics such as academic achievement and inspiring positive behavior are explored through informational presentations, visual aids, discussion, and attendees’ self-reflection. Each seminar or workshop participant also receives targeted, take-home materials for use with their patients, clients or families. Our parent education support group is designed to guide families through any frustration or sense of isolation they may be experiencing. Participants gain support from others with similar experiences, while participating in an interactive, educational workshop. Our Navigating ADHD parent support group provides a results oriented approach for participants as they gain strategies for managing the difficulties ADHD presents. Based on participant’s feedback, other topics can include medication, nutrition for ADHD or alternative therapies. Academic and life skill coaching and art therapy sessions are available for families as well as anyone diagnosed with ADHD. A collaboration of Art Therapy, Academic Coaching, and Parent Training and Support designed to the meet the needs of individual clients. Project based social skills groups focus on social skill development, self awareness, and building self esteem. Interactive activities include art, games and group problem solving. Speaking Engagements: Navigating ADHD speaking engagements are tailored to meet the specific needs of an organization’s target audience. Topics may include, but are not limited to, An ADHD Introduction, Communication, Social Skills, Bullying, and Teaching Strategies.